The museum is located in Tyssedal, in Odda municipality in the midst of the beautiful Hardanger region. The nature is stunning, both in summer and in winter. When you visit us you get an impression of the forces of nature and of man's efforts to harness them. 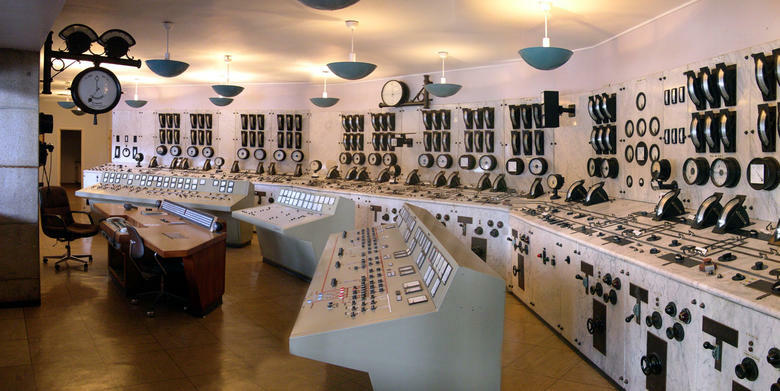 The power station Tysso I is the museum's pride and joy. The plant is the only larger power station in the world that has been protected for posterity. The power plant was built in several stages. The first stage was completed in 1908, less than two years after the planning begun. 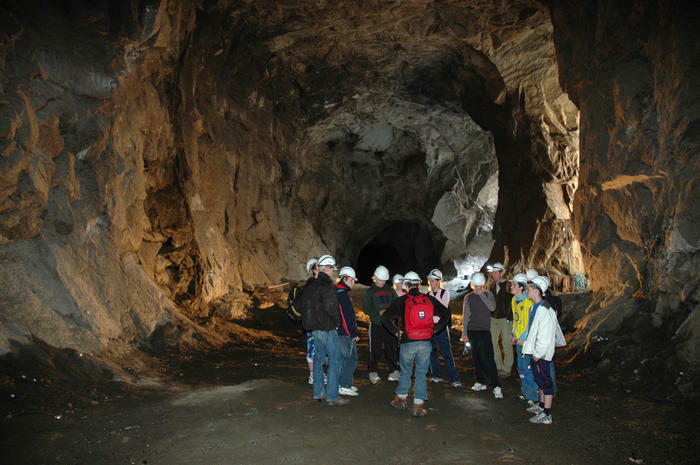 By hand, using hammer, drill and dynamite, the workers carved a 3, 5 kilometre tunnel, built the first two pipelines and the power station, as well as the first dam. The work was rushed so that the plant would be able to supply electricity to the world's largest carbide factory that was being built simultaneously in Odda. 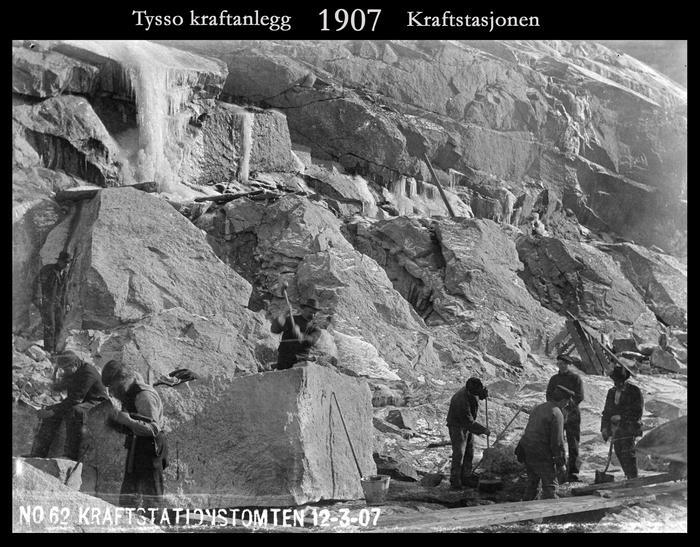 The work was often difficult in the harsh terrain. 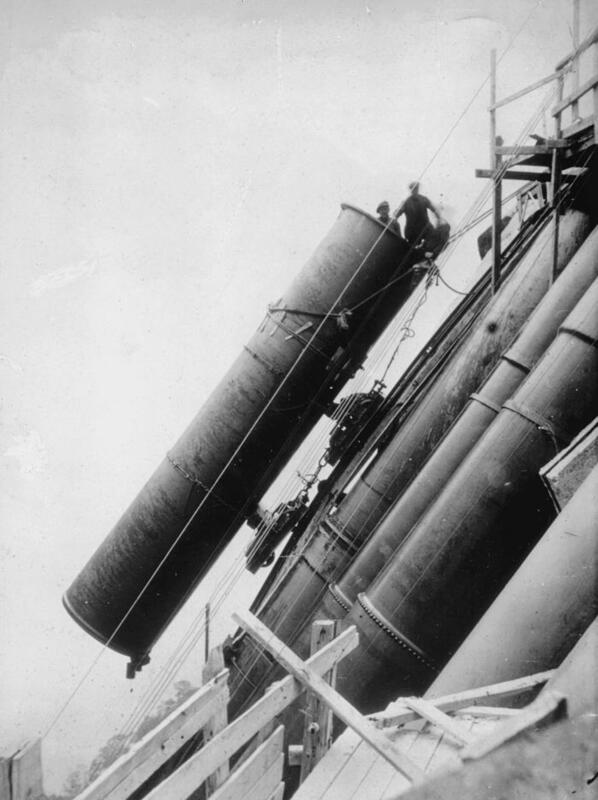 The first two 730 metre long pipelines were built in the winter of 1907, so that in addition to the steep mountain, the workers had to contend with bitter cold, snow and ice as they built the large iron pipes. 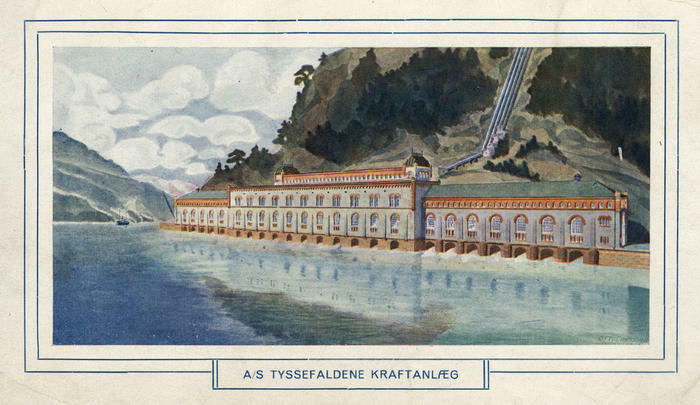 In the following years, the power station was added on, three more pipelines were built, and the impressive Ringedal dam, made from hand carved granite, was completed. Two more factories were also built in the Odda region. The power station and several of the other buildings were designed by Norway's foremost architects. Today they stand as monuments to the work, architecture and optimism of bygone days. In the year 2000 the entire plant was declared protected by the Director General of Historic Monuments. Since then the power station has been renovated and returned to its former glory.